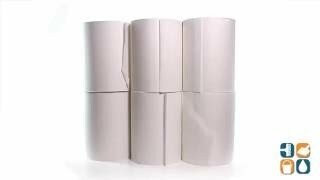 These non-perforated paper roll towels are ideal in locations such as washrooms when combined with the appropriate dispenser. 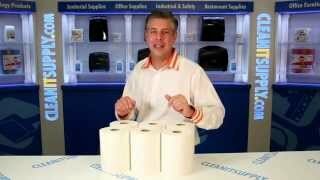 Manufactured by Kimberly Clark Paper Products, Scott's line of slimroll hardwound hand towels are a great fit for any commercial or residential environment. Constructed with Absorbency Pockets, Scott towels remove moisture so effectively that less towels are needed to dry hands, reducing waste and improving costs. Towels meet EPA minimums for post-consumer waste content. Fits Scott Slimroll Dispensers. 1-Ply White, 8"x 580', 6 Rolls per Carton. This is a dental office and we use this product in every operatory. We have come across one roll in particular that was damaged a teeny bit on one corner. That teeny defect causes the whole roll to rip wrong, but that was the only roll. Otherwise, we like the rolls. The order was prompt and the best price online.